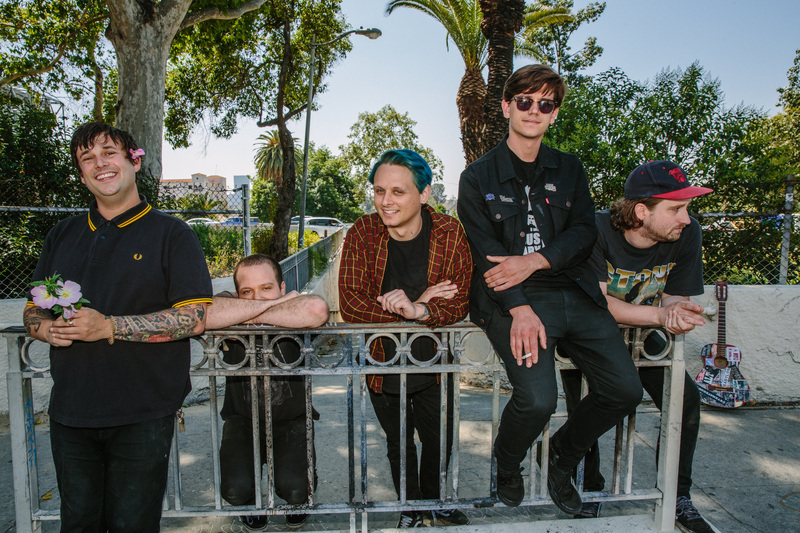 San Francisco Bay Area-band Culture Abuse shares a video today for their song So Busted – a summer anthem about “all the stuff you are told you need in life but when it all boils down all you really want is to feel loved and cared for” according to frontman David Kelling. The video for So Busted was directed byRyan Baxley (FIDLAR, Bleached, SWMRS). Formed in 2013, Culture Abuse released their debut album Peach in late 2016 on 6131 Records. Recorded with Scott Goodrich at Nu-Tone Studios, Peach is an eclectic album that sees the band lean full tilt into garage punk, throwing keyboards and even the occasional string arrangement on top of their distorted attack. This refreshingly try-anything approach to songwriting makes for an unpredictable listen that is simultaneously cohesive, a testament to Culture Abuse’s ability to wrestle disparate styles into something all their own. With their music and fun-first approach, Culture Abuse just wants to spread their message of being free, enjoying life, and sharing love. JEN CLOHER announces Australian tour! RESISTANCE Ibiza – Carl Cox’s Birthday!